Historical Women disguising themselves as men in order to fight for their nation is not just a narrative from Disney’s Mulan but a real life reality. In the past, the idea of ‘fragility of women’ was the only socially accept narrative and this justifies their non-participation in Wars. But there have been many brave women who have broken these shackles and have bravely marched onto the battlefield. Some enlist alongside their husbands as they did not desire to be separate. Some fought for the adventure and adrenaline that was held. While many others fought due to miserable economic circumstances. Whatever be their reason, their underlying patriotism shone through their brave deeds. Sarah was enlisting in the 2nd Michigan Infantry as Franklin Flint Thompson and also work as a spy and nurse. She was an unlikely Civil War soldier noting that she was actually Canadian and of course, the fact that she was a woman. Sarah was a master of a disguise and was a prize spy. She would often travel into enemy territory by dyeing her skin black with silver nitrate and wearing a black wig disguised as a black man named ‘Cuff’. In other disguises, she sold apples and soaps to soldiers and did their laundry while simultaneously stealing important papers for the Union. Unfortunately, her career came to an inglorious end as she was diagnosed with malaria. She fled in order to prevent being treated at the military hospital and being discovered as a woman. But ‘Franklin’ was named as a deserter and people were looking to execute ‘him’. Instead, she served as a nurse. Her fellow soldiers spoke highly of her even after her disguise was discovered. Elisa’s tale is an unconventional war time romance. Elisa Servenius met the soldier Bernard Servenius when his regiment was stationed in Stockholm.They fell in love and were married, and when the regiment left for war Elisa disguised herself as a man and enlisted as a soldier in the regiment “as she had decided to live and to die with her husband”. When her husband believes to have been killed in action at the Battle of Ratan and Savar, Elisa continued fighting and collect ammunition from the enemy and for her actions, she decorated for bravery in battle. Why would I be? I am with my husband, for him, I would do anything, and also, I wish to help the wounded. I ask nothing more than to do it again if needed; In truth, I do not mind the flying of the bullets the least bit, you will die someday anyway, this way as well as another. The queen impresses with her and noted: Truly a philosophic way of reason from a woman of the people and a proof of wisdom as well as judgment. After the war, it discovers that her husband had been arrest rather than death in action. After he was free, they reunite and continue with their regiment. Elisa Servenius is not the only woman in Swedish history to have served as a soldier, but she is one of the only women who officially recognized and decorated. She is a renown War Hero and she has rightfully deserve her fame through her tough work and tribulations. Joan claimed she received divine direction to lead the French Army. She fought during the Hundred Years’ War while disguised as a man. She was a flake at stake for her heroism and stand as a highly historical figure. An unintentional champion of Gender Equality. Though she died when she was only 19, Joan of Arc remembers for her leadership in trying to secure a free France. Deborah Sampson is a real life example that shows the unequivocal equality between the strengths of men and women. She serves as a part of The Light Infantry Companies which were elite troops, especially pick because they were taller and stronger than average. Because she joins an elite unit, Sampson’s disguise was not suspect, since it was unlikely that a woman would make it to a unit made up of soldiers who were specially chosen for their large size and superior physical ability. During her first battle, she took two musket balls in her thigh and a cut on her forehead. She begs to be let to die and not hold to a doctor for fear of discovery. But a soldier put her on his horse and took her to a hospital. She escaped before they could examine her leg. Afraid that her identity would discover, she removes one of the balls with a penknife and sewing needle, but the other one was too deep for her to reach. Her leg never fully healed. She eventually fell ill and her true identity discovery by a doctor who kept her secret for a long while before revealing it in the army. In other cases, women who pretend to be men to serve in the army were a reprimand, but she was an honorable discharge, a note with some words of advice, and enough money to travel home. Thus, a formal recognition was award and her services were respect instead of being in disgrace. 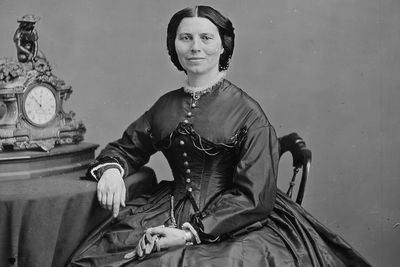 Sampson later began giving lectures about her wartime service and was an early champion of women’s rights. Ulrika’s life represents the plight of women who were effort into military service due to miserable economic circumstances. She was born luxuriously at Stensjö manner. But after the death of her in debt father, she and her sisters were penniless, and the family estate mortgage. They relied on the charity of relatives and entered into arranged marriages in order to support themselves. Ulrika did not wish to do so, and hence she disguised herself, stole a horse and ran away. What is even more unconventional is that during her service as a male soldier, Ulrika also married a maid named Maria Longman. They lived as a married couple and platonically loved each other and helped keep up the disguise. After her service, Ulrika and her wife sought refuge as civilians. Ulrika Eleonora Stålhammar was guilty of having posed as a man and marrying a woman. These crimes formally meant a death sentence, but Stålhammar’s sentence was an edge to 8 days. These women are a few out of the many who fought to overcome the shackles that society dictates over women. The served their countries and died unrecognized and never received the battlefield glory that their male counterparts did. Their defiance helped the future suffragette movements and was the foundation for establishing equal rights in modern society.